Mueller was considered a bright spot in Opel's management. 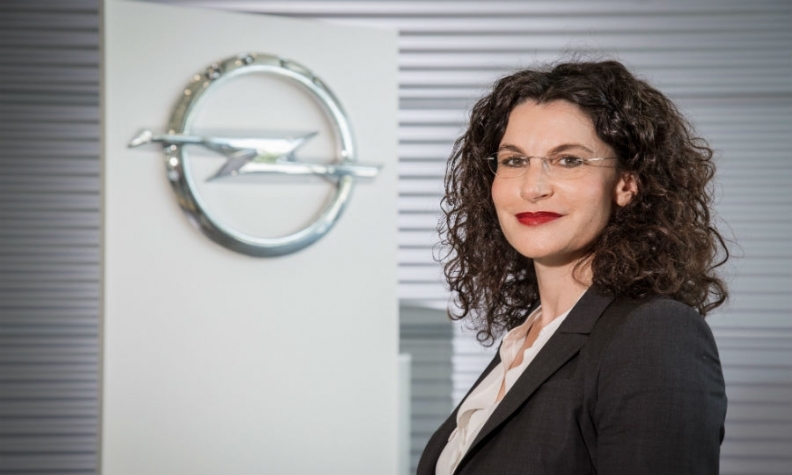 Opel faces a tough task replacing the automaker's award-winning marketing chief, Tina Mueller, who is joining German cosmetics retailer Douglas as CEO on Nov. 1. Mueller's departure comes soon after former CEO Karl-Thomas Neumann quit Opel following General Motors decision to sell the German automaker and its Vauxhall sister brand to PSA Group. The loss of Opel’s "dream team" is a severe blow for the company for three reasons - past, present and future. 1. Mueller was considered a bright spot in Opel’s management, having revived what was perceived to be a bankrupt brand in Germany. Equity financial analysts estimated its equity as negative. She won marketing’s most coveted prize in Germany for her Opel image campaign called Umparken im Kopf (change your mind). Neumann and Mueller were named "Man and Woman of the Year 2015" by German marketing trade magazine Horizont in the marketing category. Last year, Mueller was one of Automotive News Europe's 25 Leading Women in the European Automotive Industry. 2. Her continued presence also served as a stamp of legitimacy, guaranteeing PSA’s newly acquired subsidiary would continue to have a strong German management team after the departure. German unions fear domestic factories may end up drawing the short straw versus French plants when it comes to production allocation, and an influential and respected German management team would help allay those concerns. 3. Lastly her role is of fundamental importance for the company going forward. Mueller’s chief task would have been to give Opel a distinct and unmistakable profile in the marketplace that differentiates it from a Peugeot or Citroen, despite vehicles from all three sharing many of the same parts. That would help ensure Opel retains its own authenticity as a German manufacturer. While departures are natural following a change of ownership, losing key personnel is hazardous, especially given Opel's recent history of management upheaval, Evercore ISI analyst Arndt Ellinghorst said. Opel has had a string of executives come and go. New CEO Michael Lohscheller is Opel’s sixth in ten years, while Volkswagen and BMW each have had two and Daimler only one. Prior to her arrival Mueller had three predecessors in just over a year. Before Mueller’s arrival, marketing traditionally had been a responsibility of the head of sales and her appointment was specifically designed to revive the brand’s poor image in its core domestic German market. Opel's head of sales, Peter Kuespert, will add responsibility for marketing to his current responsibilities, the automaker said in a statement. Metzler Bank automotive analyst Juergen Pieper said: "Tina Mueller and Karl-Thomas Neumann were the outstanding personalities at Opel and their departures are certainly a loss." It looks like PSA’s turnaround suddenly got a lot harder.